Woman, Bird and Star (Homage to Picasso), Image via Seattle Art Museum. Miró: The Experience of Seeing is the potpourri of Seattle Art Museum’s recent special exhibitions. Featuring work from the last two decades (1963-1981) of Surrealist and abstract expressionist Joan Miró’s career, the SAM borrows 61 classically bold paintings and bronze-cast sculptures from the Reina Sofia Museum in Madrid. The first painting viewers glimpse— both in the museum and on advertising— is a distinctly un-three-dimensional, primary colored form: “Woman, Bird, and Star (Homage to Picasso),” 1966. The minimal lines, distinct shapes, and unblended colors are naturally evocative of Pablo Picasso and Alexander Calder, among other 20th century extreme modernists, who Miró admired and was oft inspired by. 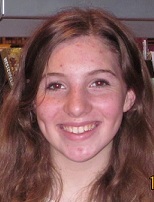 This entry was posted in Art, Seattle, Teen Powered and tagged Art, Art Show, Out and About, Seattle Art Museum on April 1, 2014 by Teen Blogger. As far as Seattle art goes, I think we all get a bit caught up with SAM. His friend Henry is available and although he’s a bit less popular, maybe on the more introverted side, there’s a lot going on behind that grey, stoic exterior. I recently visited the University District’s Henry Art Gallery for the first time in years. I went to see “The Photographs of Ray K. Metzker,” an interesting and wide collection of primarily black and white prints that explore light, shadow, and extraordinary additions to an otherwise ordinary scene. The images of cities held the most intrigue for me: his expertly composed pictures of shadows on empty streets are quiet portraits of urban life and the people that live it. Darkroom experimentation resulted in repeating sets and the merging of two photos, techniques that litter Instagram and the like, but Metzker’s is the original and most beautiful way. The Henry is a place for the established contemporary art world and a crop of new, risk-taking artists to convene. Below the floor housing Metzker’s works lies “Jason Dodge: What we have done,” a modern installation that I initially saw as a large empty room with a few pillows. Dodge is a sculptor who uses ordinary things and transforms them by proclaiming them to be art. On the four rolls of printer paper loaned by the Seattle Times, “While they are exhibited in the gallery as art objects, many news-making events will take place in the world and in our community. When the rolls leave the Henry they will be returned to the print room where they will cease being art objects…” The exhibition also featured the space where animals were brought in to graze (but there is no photographic documentation per the artist’s request). It’s different and that’s what I love about small art galleries. 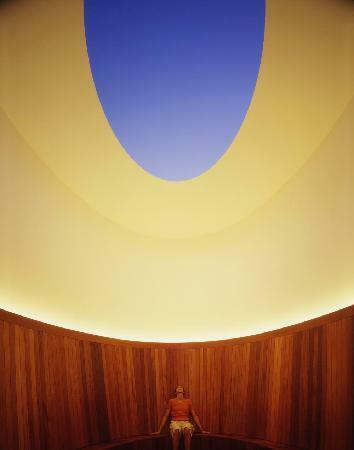 James Turrell’s Skyspace “Light Reign” is another Henry fixture and unique architecture experience. An oval of sky in a round, secluded tower is the essence of it, but it must be seen and felt in person. I have so much appreciation for the SAM and its presence in our city. I’m also grateful for the less visited spaces that still make an impact. Entrance to the Henry is free for students, but is also included as part of the Seattle Public Library’s Museum Pass program. With your library card you can receive a free pass for several museums up to 30 days in advance. This entry was posted in Art, Events, Free Stuff, Seattle, Tidbits and tagged Art, museums, out & about, Out and About on February 13, 2014 by pushtotalkteens. Out & About: SAM's "Elles: Women Artists from the Pompidou"
This entry was posted in Art, Free Stuff, Seattle, Teen Powered and tagged Art, Out and About, Seattle Art Museum, written by teens on January 1, 2013 by Teen Blogger.